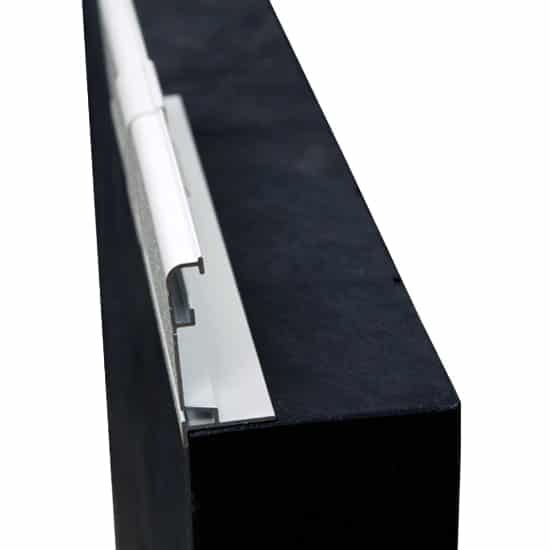 Bullnose Coping is the most popular style of coping used in vinyl liner pools. 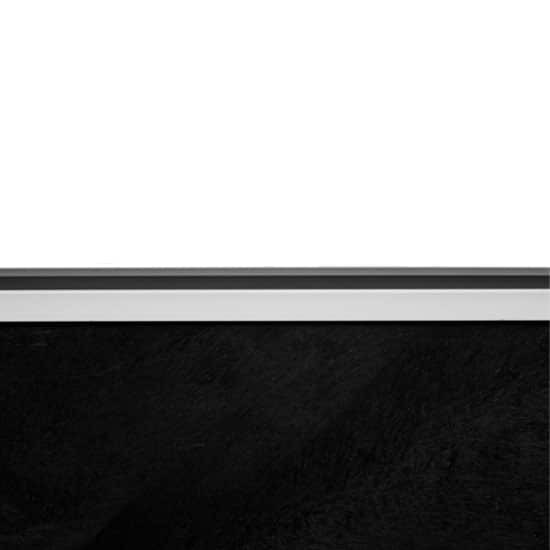 It allows you to pour concrete all the way up to the edge of your swimming pool, giving you a great finish. 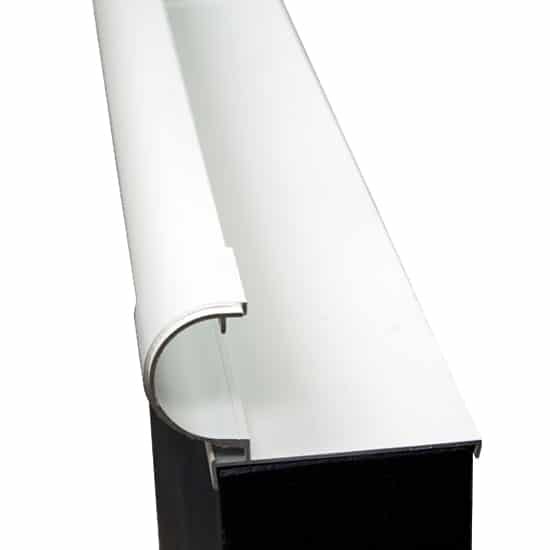 Made from the finest extruded aluminum, our Bullnose coping comes in a non-slip, textured, white, electro-static paint. 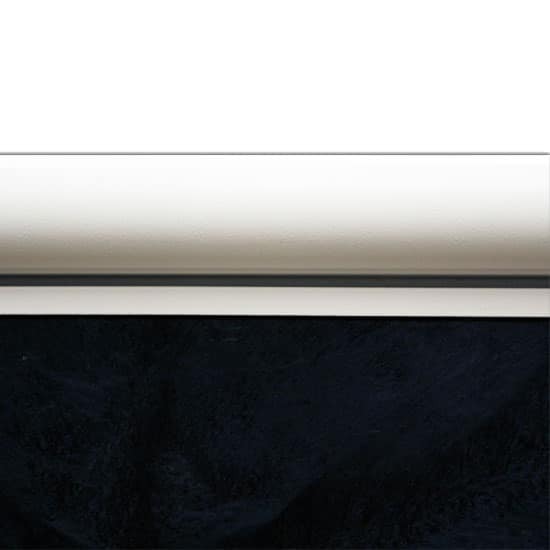 Available in Rimlock and Caplock, our Bullnose coping comes with matching lock-on clips, and our exclusive Caplock design encapsulates the entire top surface of the wall panels for precise alignment and stability. 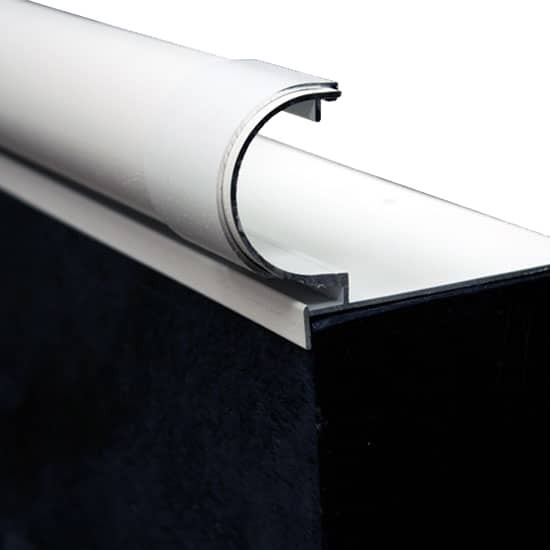 The coping does not need to be removed to replace your pool liner. 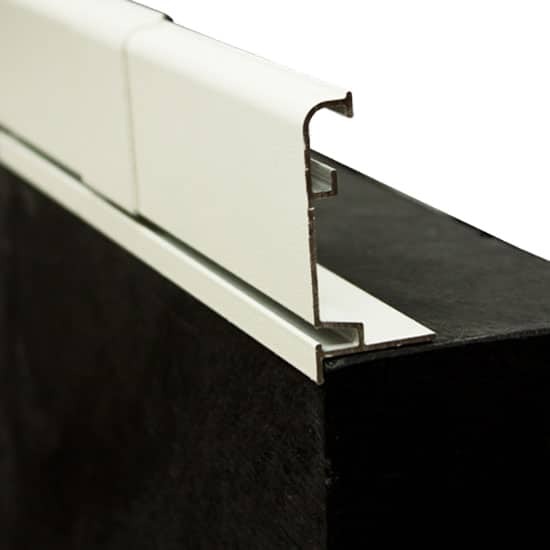 We are proud to introduce our new line of flexible coping. 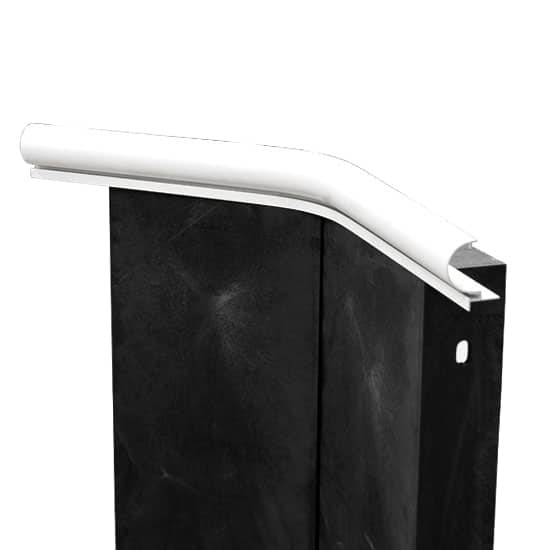 Made from the same quality extruded aluminum as our Bullnose and Cantilever coping you can be sure that you are getting some of the finest coping on the market. 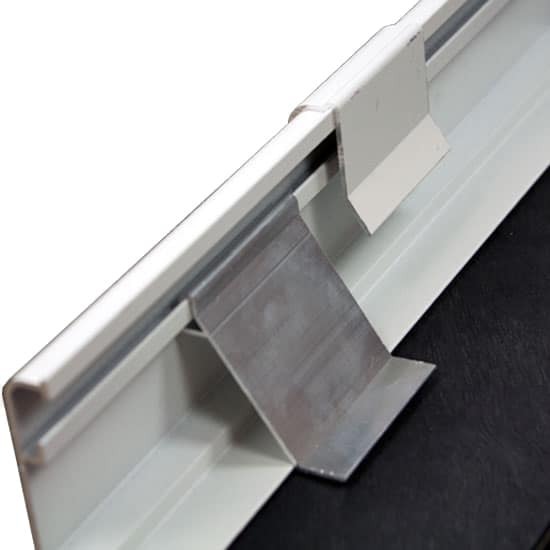 Including the white textured, electro-static paint, our Flex coping comes with matching lock-on clips and braces to insure a perfect installation every time. 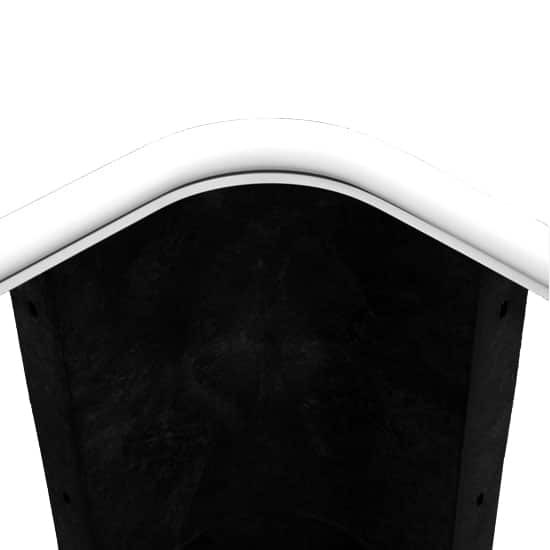 The new profile gives you a cantilever look with out the cost or labor of the Styrofoam forms. 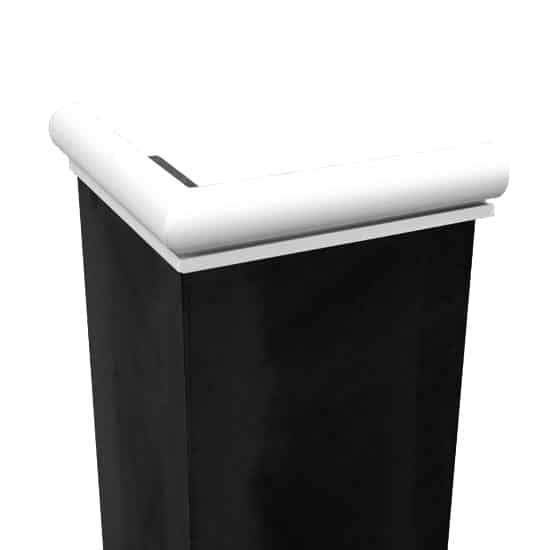 The Flex copings design is the perfect coping for safety covers no painted surface to be scuffed by the cover! 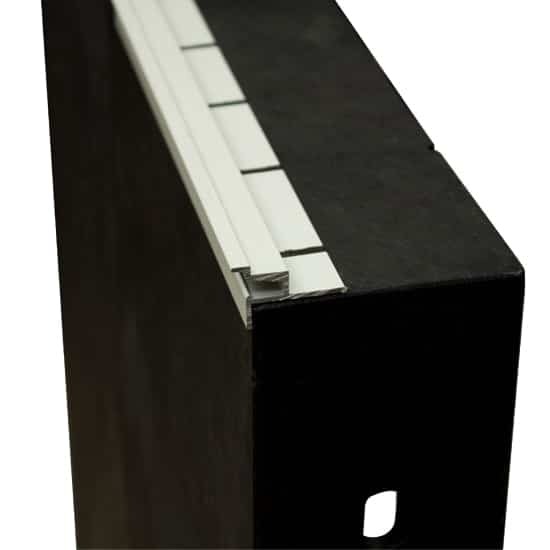 The new Flex profile is designed to be formed to the pool on the job making it the most cost-effective coping for free-form pools. 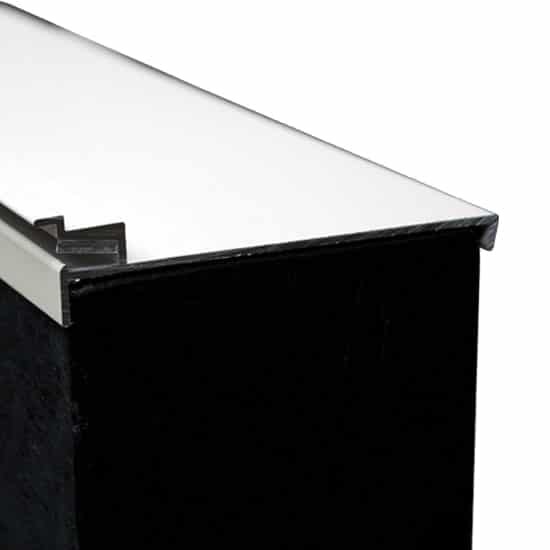 Cantilever Coping is made using foam forms and allows the concrete deck to be poured on top of the flat track coping and over the swimming pool’s edge. The forms are then removed after the deck is installed. 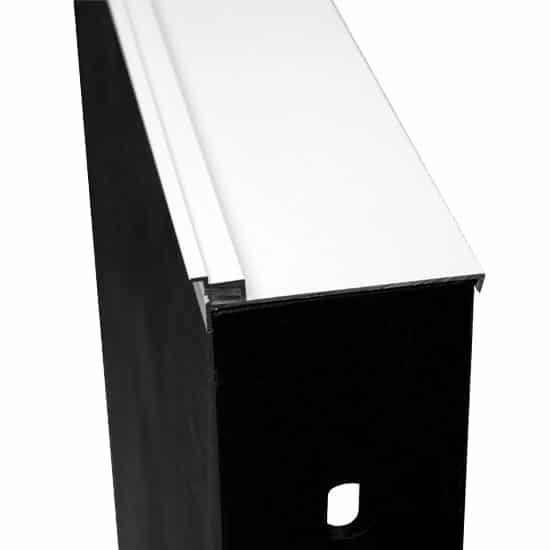 Made from the finest extruded aluminum, our Cantilever coping comes with electro-static paint with a white, textured, non-skid finish. 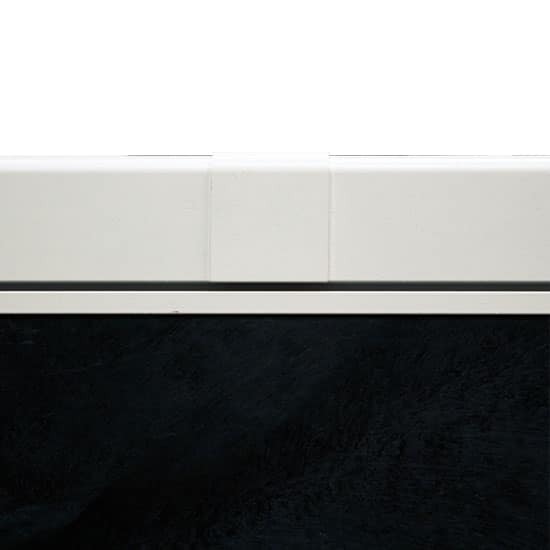 Available in Caplock and Bendable, as with our Bullnose coping our exclusive Cantilever Caplock design encapsulates the entire top surface of the wall panels for precise alignment and stability. 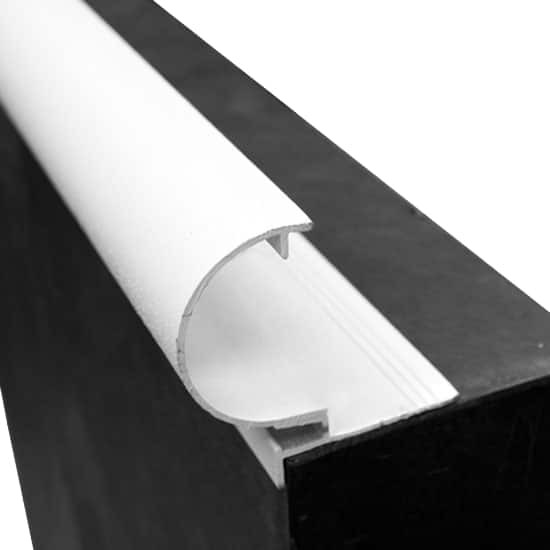 Our Bendable can be formed to any radius to meet your needs. 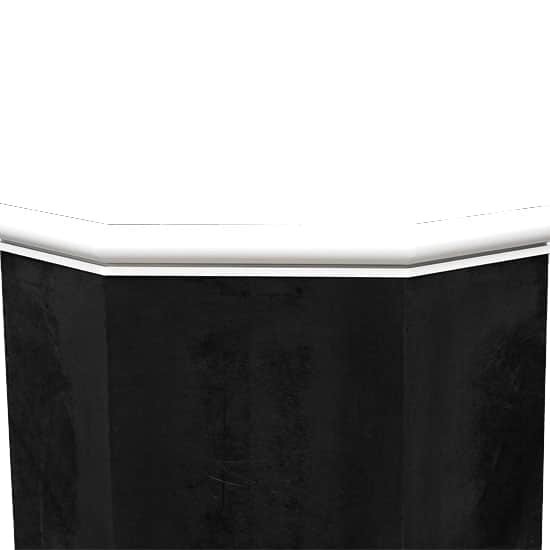 If you have a project that requires large custom radius bends or mandrel bends (small radius bends) Hydra Pools has the experience and the ability to get it done.